Call L&W Appliance Service for emergency appliance repair in the Agawam, Mass., area. We’re knowledgeable and experienced in fixing most major brands of household appliances. These are just some of the problems that we can help appliance owners with fixing. We provide emergency service, seven days a week for those living in the Agawam, Mass., area. Call us for your next washer, dryer, refrigerator or other appliance repair. For reliable Agawam appliance repair, call us today! Old, worn or missing stove knobs can be replaced! 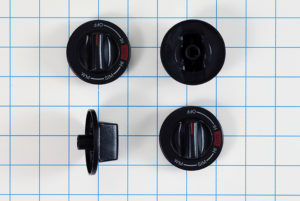 Just use the model number of your stove to find new range knobs on our online parts store. Agawam is a city in Hampden County, Massachusetts, on the western side of the Connecticut River, across from Springfield. Agawam is part of the Springfield Metropolitan Statistical Area and is home to Six Flags New England amusement park.